The cold shoulder top is taking over from the runway to street style and everything in between. 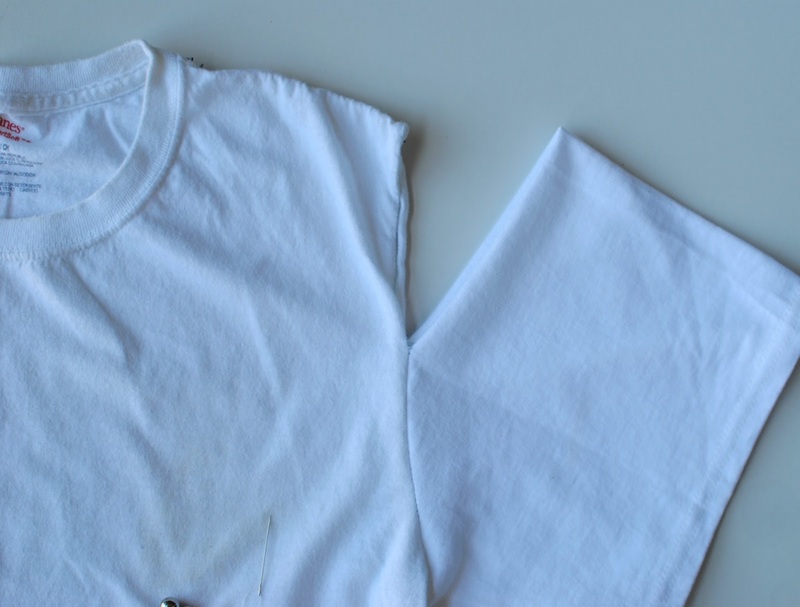 It's a cute detail and simple to create with a tshirt you probably already have. I added some beads to for a little extra detailing and even pearls would look great on a black one. The other way is to tie ribbon or extra tshirt fabric around to create a bow. 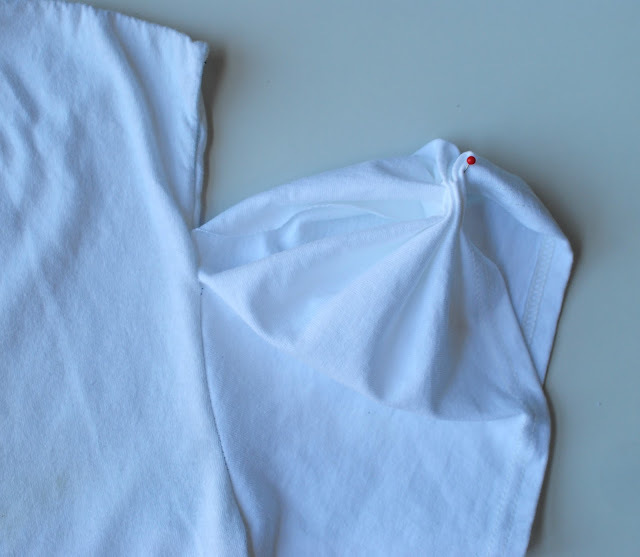 Begin by cutting along the shoulder seam a couple inches down. 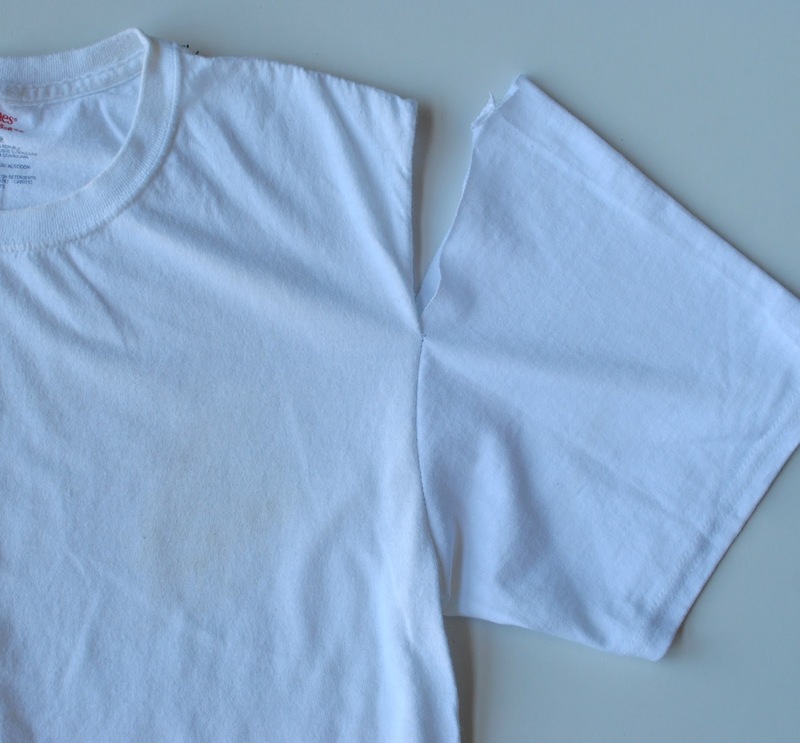 I like to keep the serged edge along the shoulder so the raw edge is on the sleeve. Fold over the sleeve edge. Pleat by continue to fold back and forth in an accordion type pattern. 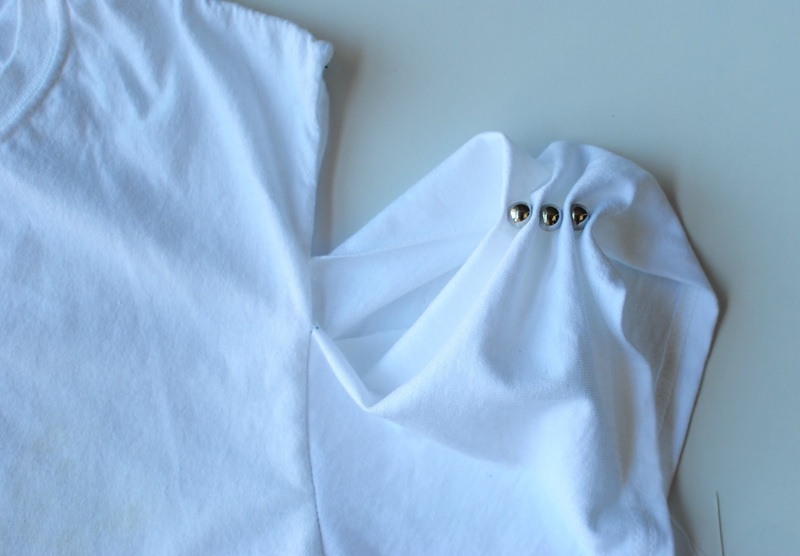 Then pin into place with a needle or safety pin. Hand sew beads in-between the pleats. Or wrap some extra fabric around and hand sew or tie into place. That is the viral fashion trend going on these days and I am glad to know the exact dressing. It was a good idea to subscribe your channel to get more of the fashion updates.